What: N00bcon, aka the World Championships in 93/94. The first 93/94 tournament ever was hosted at Gothcon in 2008, the years after that we've rented an adjacent pub to hold the tournament in. 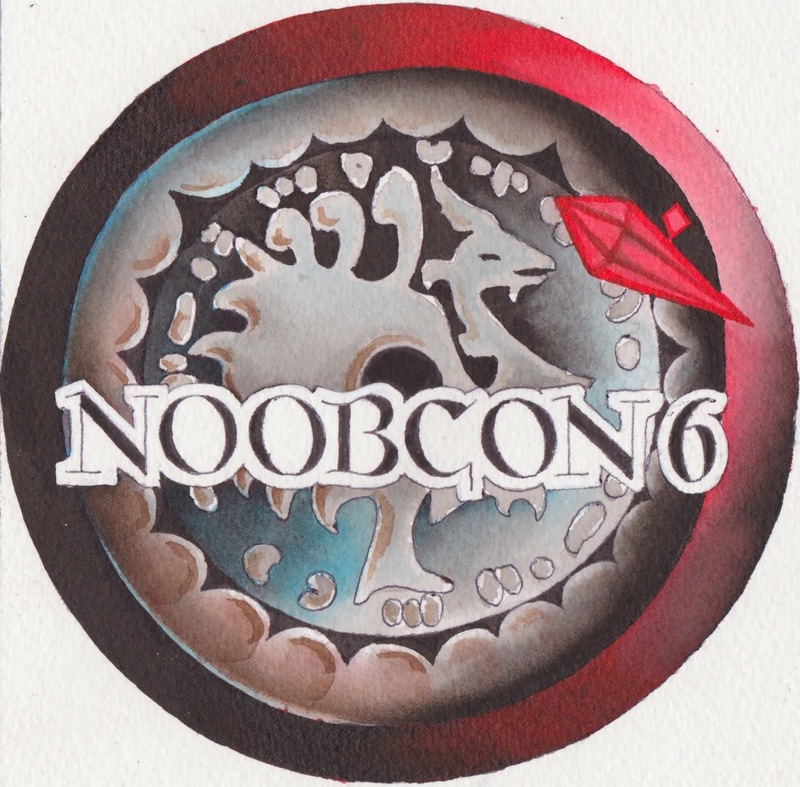 This is the 6th annual n00bcon. The last two years we've had 26 and 34 players attending. 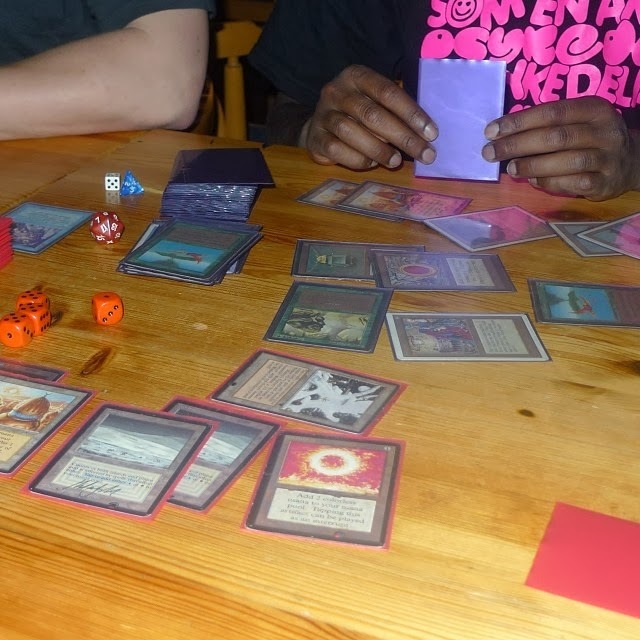 It's the place to show that you have what it used to take to be a master at Magic, but mostly to drink craft beer, look at amazing decks, and enjoy the fun side of magic tournaments. When: Saturday the 19 of April, starting 14:00. Rounds in the swiss are 60 minutes, the top8 is un-timed, but expected to be played at a reasonable pace. Note that this is during the Gothcon weekend, and there will be a pretty big Vintage tournament at Gothcon the Friday before, and a PTQ the Sunday after, to name a few. Where: Rotary Pub in Gothenburg. About 8 minutes walk from the Gothcon site. Who: Anyone who has a deck are welcome to come and play. Players who just want to come and watch and have a beer are unfortunately not allowed, due to a combination of alcohol serving laws and security. Registration: The registration fee is 100 sek (about €10) to cover expenses for hiring the pub and such. If you're a member at svenskamagic.com, post in the n00bcon 6 thread in the Old School forum table. Otherwise, send me a mail or comment here, and we'll put you on the list. Prices: The winner gets a Giant Shark. Top4 gets some sort of trophies. Random prices will most probably be handed out as well. Of course everyone gets a rad convention pin with the Eastery Disenchant above. Force of Nature will be there. Ps. If you want to see some inspiring Old School and Vintage pictures, you should check out http://instagr.in/u/mtg_gbg. Jeg er interesserad i at deltage i turneringen om lørdagen. Jeg ankommer fra Danmark. Hur skal jeg betala? Det går bra att betala på plats. Sweet to hear Jimmy! Adding another country to the world championships :D Looking forward to see you there!